Pride & Prejudice is one of the most loved and widely adapted of Austen’s works. 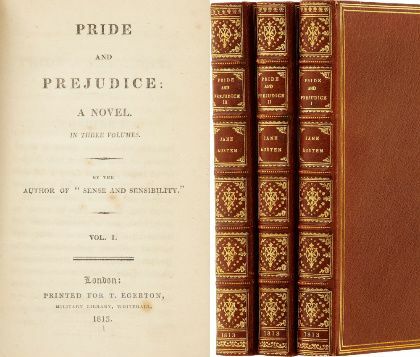 Since it was first published in 1813, Jane Austen’s Pride and Prejudice has sold over 20 million copies, and is now one of the most recognizable names in British literature. Though it was written over 200 years ago, it remains relevant. Not only is it a beautifully written love story with a happy ending, but it contains timeless insights about human nature that reminds readers that first impressions can often be wrong. Jane Austen had a profound understanding of human nature, and human nature hasn’t changed much in 200 years. People still pre-judge each other, project their own insecurities and issues onto one another, fret about whether their new man or woman truly loves them, etc. People are still embarrassed by their relatives. Some people are snobs and some people are dishonest, reckless, stupid, silly, you name it. Jane knew them all and drew timeless characters who illustrate equally timeless truths of human nature and human relations. And, while it is a wonderful study of human nature, it’s also a very powerful love story, and that too is timeless. Jane and Bingley, separated by misunderstanding and the snobbery / bad manners of those they loved and trusted, are not very complicated people, but they are so deeply good that it’s impossible not to like them. Elizabeth is a delightful character and a bit of a maverick for 1812-1813, but Darcy is smart enough to recognize her worth and secure enough in his manhood to not be threatened by her wit and intelligence. Whether in the original novel, the BBC miniseries, the 2005 Kiera Knightly film, the YouTube series, the Bollywood remake, or even the suspenseful Pride and Prejudice and Zombies, people’s obsession with the Bennet family and Mr. Darcy has done anything but dwindle. Countless fan-fiction series, movies and television series have adapted the story, and it remains one of the most adapted works of the last two centuries. The 6-hour 1995 BBC version is the gold standard of a faithful adaptation. Colin Firth’s haughty, smoldering Darcy is the platonic ideal of the character, playing beautifully off of Jennifer Ehle’s wry, mature Lizzy Bennet. Plus, the mini series’ run time means every nuance of Austen’s work (and her quippy dialogue) is represented—while allowing for some creative liberties, like Firth’s Darcy taking a bath, or a dip in a pond that leads to him striding about manfully in a wet white shirt. If you are looking for the most accurate adaptation of the book, this version is unsurpassed. Screenwriter Deborah Moggach initially attempted to make her script as faithful to the novel as possible, writing from Elizabeth’s perspective while preserving much of the original dialogue. Director Joe Wright, however, encouraged greater deviation from the text, including changing the dynamics within the Bennet family. 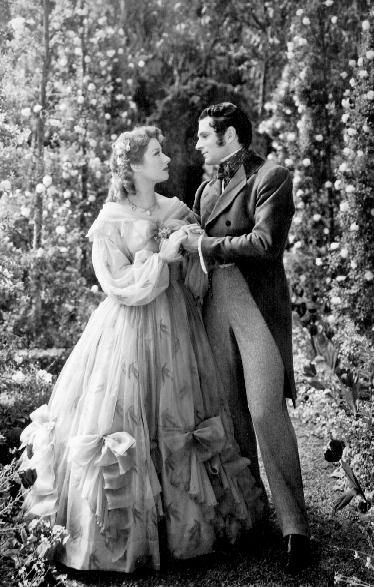 Wright and Moggach set the film in an earlier period and avoided depicting a “perfectly clean Regency world”, presenting instead a “muddy hem version” of the time. Janeites notoriously scorn this version because of its plot variation and the historical inaccuracy that even Keira Knightley and Matthew Macfadyen‘s passionate romance cant remedy. 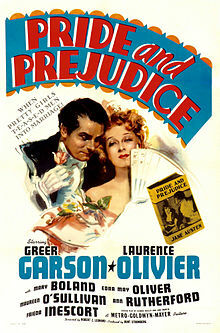 This 1940 American film adaptation was directed by Robert Z. Leonard and starring Greer Garson and Laurence Olivier. The screenplay was written by Aldous Huxley and Jane Murfin, adapted specifically from the stage adaptation by Helen Jerome in addition to Jane Austen’s novel. The film makes several significant changes to the story, including swapping the novel’s Regency-era setting for a Victorian one.I found this adaptation be be one of the most historically inaccurate, though it made efforts to closely follow the novel. Though much of the dialogue references back to Jane Austen’s novel, the plot jumps around a bit. Darcy and Wickham’s meeting was anti-climactic. But the most offensive part is the outfits. The costume department got everything wrong in this film — Empire waists are replaced with hoop skirts and crinoline, which filmmakers thought would look better on-screen. In general there’s an enjoyable comic exuberance to the film that matches its updated setting (think the opening scene in Gone With The Wind) more so than the novel’s neoclassical one. 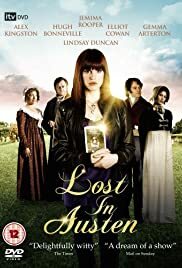 Both the 2013 film Austenland and the 2008 British miniseries Lost In Austen center on modern day Austen fanatics who long to trade in their busy modern worlds for her mannered, romantic one. (They both do so over the course of their respective stories; Austenland’s Keri Russell through an Austen-themed resort and Lost In Austen’s Jemima Rooper through a magical portal in her bathroom.) 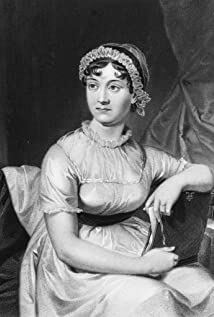 The problem is, any true Austen fan would realize her world was not a particularly welcoming of the 21st century women. Becoming Jane is a 2007 British-Irish biographicalromanticdrama film directed by Julian Jarrold. It depicts the early life of the English author Jane Austen and her lasting love for Thomas Langlois Lefroy. The film is partly based on the 2003 book Becoming Jane Austen by Jon Hunter Spence, who was also hired as historical consultant. The final screenplay, developed by Sarah Williams and Kevin Hood, pieced together some known facts about Austen into a coherent story, in what co-producer Graham Broadbent called “our own Austenesque landscape.” According to Hood, he attempted to weave together “what we know about Austen’s world from her books and letters,” and believed Austen’s personal life was the inspiration for Pride and Prejudice. Jarrold began production of the film in early 2006, opting to shoot primarily in Ireland as he found it had better-preserved locations than Hampshire, England, where Austen was raised. 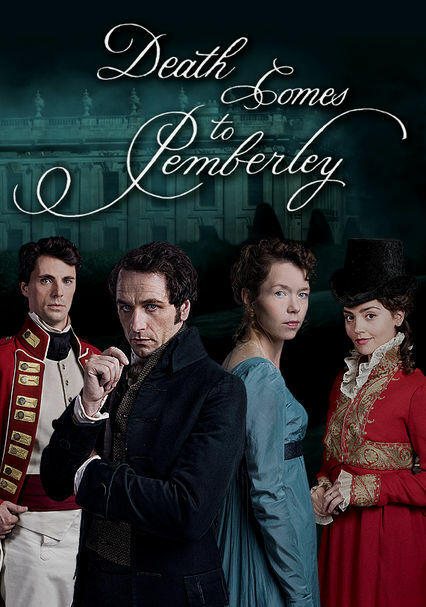 The latest in a long line of Pride And Prejudice miniseries, movies, books, spin-offs, and modern-day retellings is Death Comes To Pemberley. Based on a 2011 book by 94-year-old mystery writer P.D. James, the BBC miniseries hops across the pond to PBS on October 26. 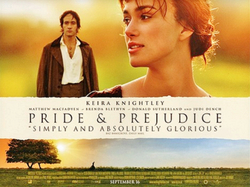 The adaptation maintains Pride And Prejudice’s period setting but flashes forward to six years after the events of the original novel. Thanks to the time shift, the series is able to deepen some of the original novel’s secondary characters by revisiting them in different circumstancesAnd even though some of the characterization feels a bit off—Lizzy has lost some of her original spark—and the central mystery lacks complexity, it’s pleasant enough to spend more time in Austen’s familiar world.